Teacher Appreciation Day is next Tuesday, May 8th! We have tons of great unique gift ideas. Get them a hilarious mug, a pair of rad socks, fancy pants notebooks and desk planners, a handy tote lunch bag, an inspiring book, or a pretty water bottle. 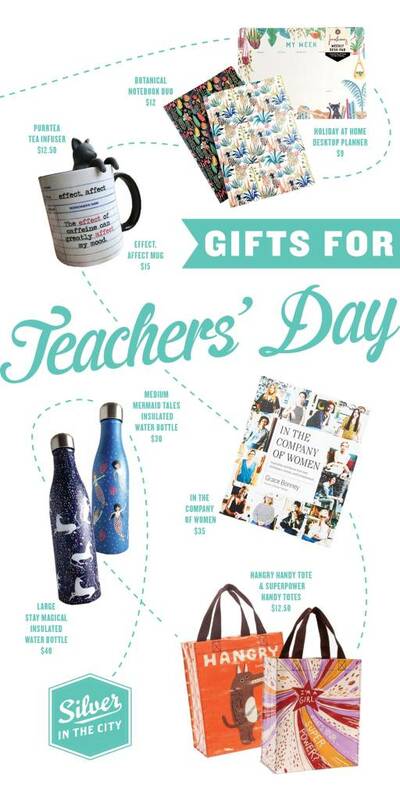 Check out a collection of some of our favorite teacher gift ideas here.